Happy Wednesday! I am back today sharing a few more finished knits. These were my last two finishes of 2015, both projects were finished either in the car or while staying with family! First up is my Downton Cowl. For a while, I was really interested in knitting long cowls that I could wrap around my neck more than once. They just seemed like they'd be warmer! The trouble with that though, is they can be too warm when I want to wear something as more of an accessory, especially when it isn't that cold. 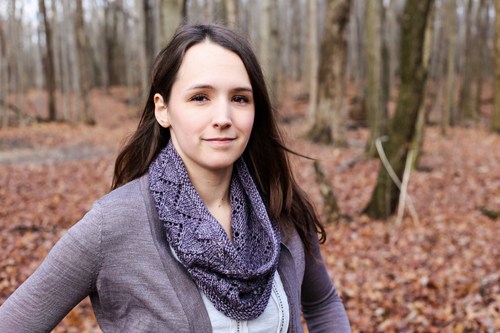 Two years ago, Jacey made me a short cowl, and I have gotten tons of wear out it. It's easily one of my most worn knits! So, I decided to make one too, so that I have another color to wear! 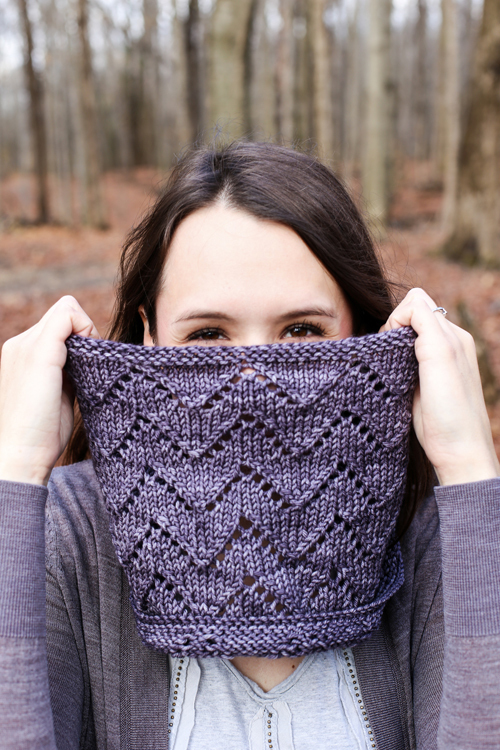 I started this cowl in October 2014, and finally finished it in late December of this year. It wasn't a difficult project, but it kept getting set aside. Honestly, I think what kept me from working on it the most was the needles I was using. They had a really stiff cord that was driving me nuts. I took this project with me to work on in the car, and I finished it by the time we got back to Ohio! I was really happy to get this project finished, and I know I'll wear it a lot. It's the perfect purple gray. The yarn is Madelinetosh Tosh DK in Composition Book Grey. The pattern is by Shannon Cook. 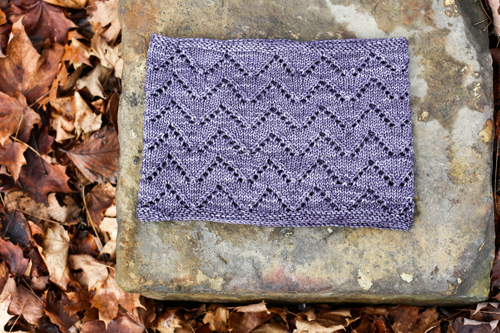 For more info on my cowl, see my ravelry. 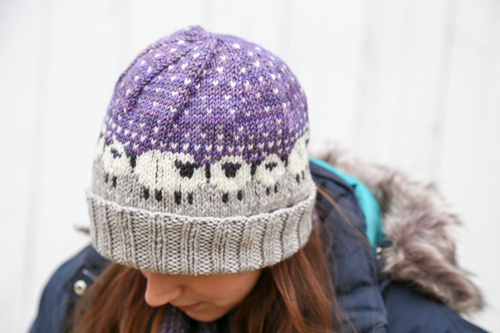 I was so excited to make this Baa-ble Hat! 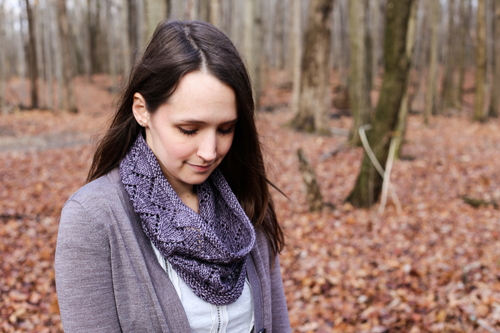 This was my "reward project" that I was allowed to start once we got on the road, and once I finished that cowl! It was a good motivator! This is my second stranded colorwork project (still need to get photos of the first, it's also a hat!). I was excited to try it, but was a little afraid of it, honestly. I knew if I made a mistake and didn't catch it, it would really show. 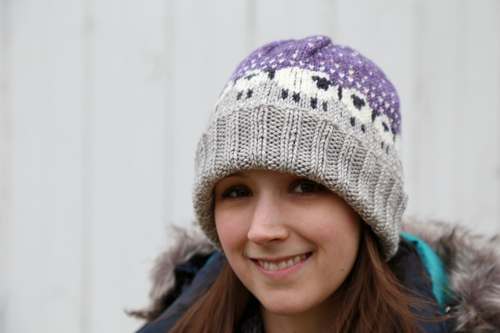 There were a few times that I had to rip back mistakes, but overall, knitting this hat went really smoothly. And I got the hang of holding both yarns at once continental. On my first project, I was only holding one yarn at a time, constantly dropping one and picking up another. It was definitely not ideal, so I'm glad I figured out how to do it right! I'm still getting used to tensioning the yarns, but I think my tension is better than my first project! This hat went SO fast! Especially once I got to the colorwork. I've been wearing it a lot, it's so cozy and seriously cute. It did turn out a little big, but that's okay. I'm not 100% sold on the double brim either, but it won't stop me from wearing it. I kind of want to make another! I think next time I would knit a single layer brim and go down a needle size. 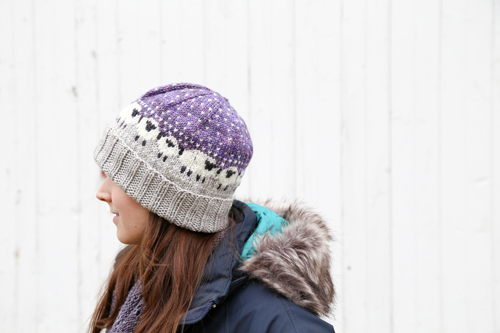 The two main yarns in this hat are Madelinetosh Tosh Vintage in Astrid Grey and Heuchera. The pattern is by Donna Smith. 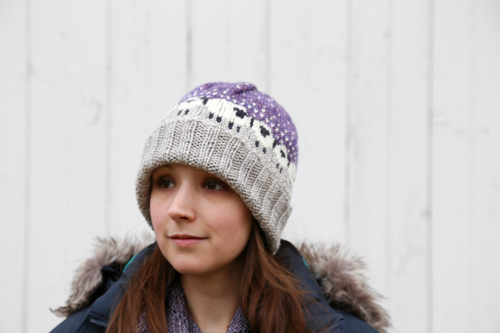 For more info on my hat, see my ravelry. The cowl is beautiful, love the purple, and that hat is way too cute. Well done! Lovely hat. Amazingly I just finished a baa-ble hat to practice my colour work, I went down a needle size and knit a single brim (because I was using up leftover yarn and didn't have enough for the double brim). Your blog post made me smile because of all the parallels It's so cute pattern and such a quick knit. Oh my...your cowl is just beautiful! And that hat...wow!! Both are lovely and cute, in that order. If the hat is a little big try sewing multiple rows of elastic cord to tighten it up a wee bit. I love your knitting projects and purple is my favorite color. I quit knitting years ago because I'm terrible at it. Your work is beautiful and inspiring. The hat is so stinking cute! Love them both! The hat is way too cute! Love the Baa-ble hat. You have inspired me to give it a go!